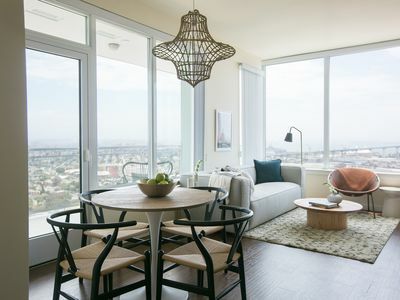 Welcome to your enchanting San Diego Downtown, East Village, retreat! 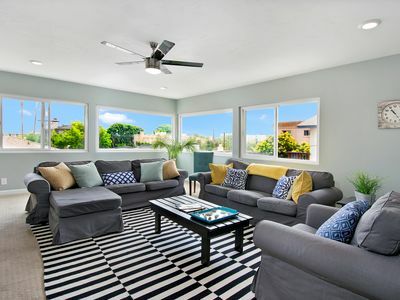 With divine bay, city and mountain views this is the place to have an amazing urban experience. 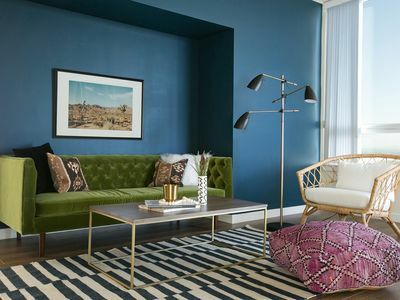 We greet you to a spacious, serene, luxurious and contemporary apartment with all the conveniences you desire. 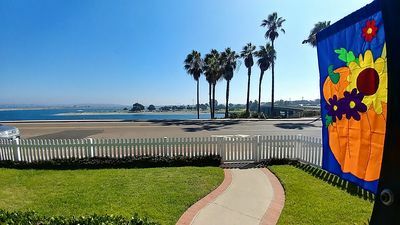 Enjoy the San Diego outdoor life. 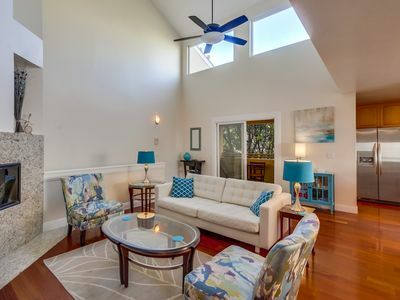 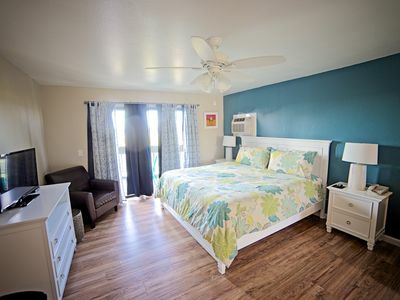 While you're here you can enjoy the sunrise off of the private balcony, exercise in the community gym, swim laps in the pool, walk down to the local park, walk to brunch at the cafe nearby, and cook a delicious homemade meal in the fully equipped kitchen. 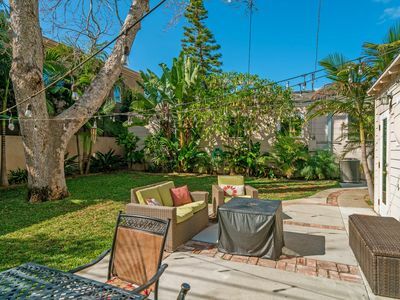 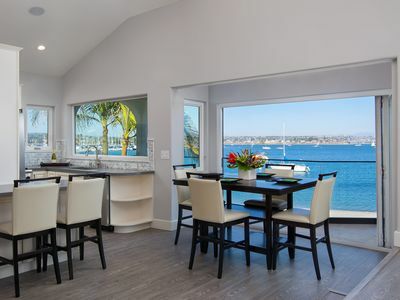 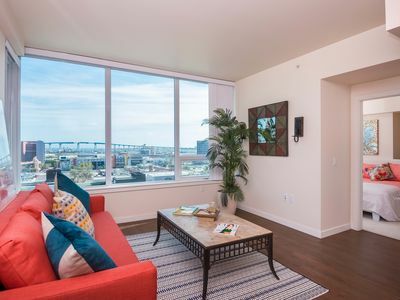 You will enjoy the Coronado bridge views off of the living room, the floor to ceiling windows, the warm cross breeze, the wood floors, granite counter-tops, stainless steel appliances, tropical decor, and fast wifi. 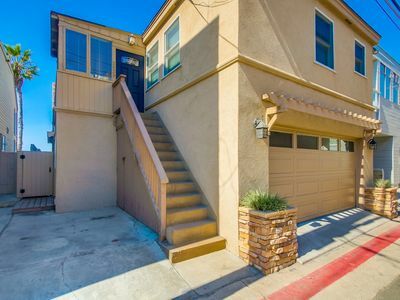 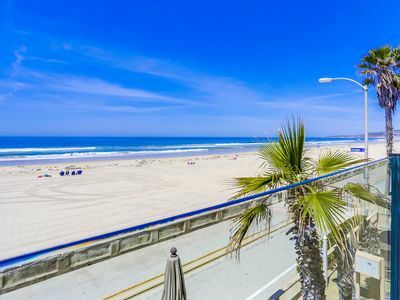 Bike and walk through the city to the hottest spots including, Petco Park, Convention Center, Gaslamp, Little Italy, The Coronado Ferry, The San Diego Bay, Balboa Park, The San Diego Zoo, the new renowned Central Library, local shops and restaurants. 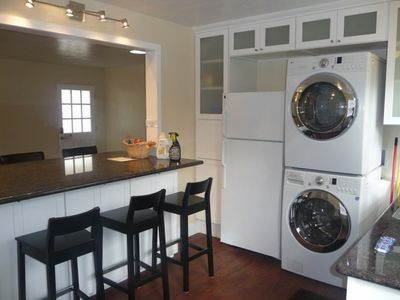 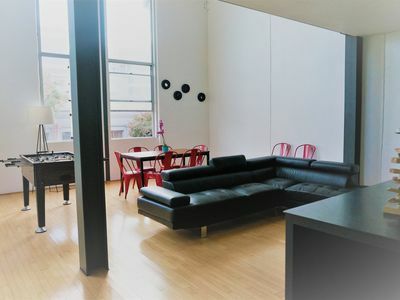 Free on site parking, wifi, laundry in the unit, and water. 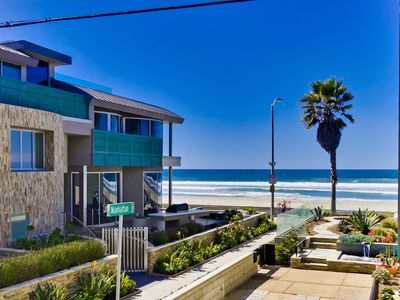 UNBELIEVABLE! 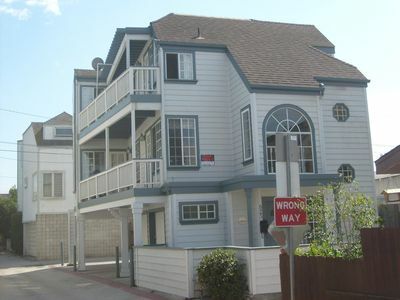 Steps to the Bay, 4 car parking, sleeps 11 people! 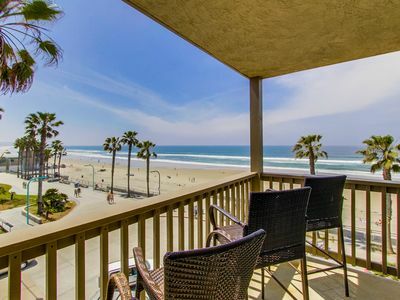 Ocean Front Luxury - Full Ocean View's - Private Balcony - Steps To The Beach! 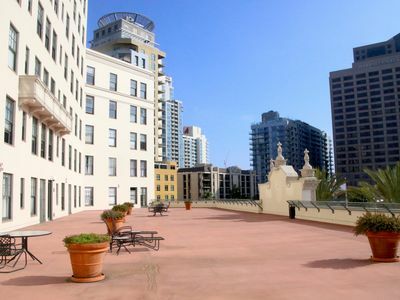 Charming Condo in San Diego's Historic El Cortez Building!